Like any other project, rabbit farming needs a lot of research before you venture into the business. Research can be done on the breeds you can rear, the market demand, how to care for the rabbits and how much money you need before starting the farm. Research about the equipment you will need and the type of labor. This will give you an insight on what to expect when you start rearing rabbits. You need to know the different types of rabbit breeds and ones that can be reared in Uganda. Some of the rabbit breeds include the New Zealand white and black, chinchilla and the Dutch. The breeds can be chosen according to the types that are readily available near you. When you decide to start rabbit rearing, you need to construct a house that is conducive for the rabbits. They need a house that is well protected from the heat, clean and well ventilated. The rabbit house should be built in a way that it is protected from bad weather, predators like dogs and thieves. The farm should have cages for the rabbit that measure 2.5 feet both in width and height and in length it should be 3 feet. They should also be readily accessible by the farmer to avoid accidents. And during kindling, you need to prepare 12 by 16 inches square of nestling box with good furnishing. It should be 16 inches high and one entry where the doe will pass. The food given to the rabbits depends on the size, age and breed type. An adult rabbit should eat greenery vegetables like grass, carrots, spinach and vegetable wastes. although they can be fed other things in the right amounts like 17% to 18% proteins, 14% fiber and 2700 kilograms of metabolic energy. You can also feed the rabbits with poultry feeds and give them enough supply of clean water all the time. If you are into commercial farming, this is the best method for rabbit rearing. This method is good as it leads to the rearing of a wide number of rabbits and the female rabbits are kept in separate cages away from the male ones although during breeding they are all kept in one cage. Every cage has a maximum number of rabbits that are kept but this all depends on the size of the cages. These cages are made from iron plates or wires sold in the market. This method is mostly done if you are going to rear few rabbits and this is best done if the floor is concrete. You should separate the female rabbits from the male ones and 30 rabbits can be kept in each room. The floor is littered with wood shavings, straws and husks of about 4 to 5 inches deep for comfortable sleeping of the rabbits. This system is good if you are short on money but there is easy spread of diseases since they are confined in one place and management also becomes difficult in this method. Rabbits are one of the animals that reproduce at a faster rate and they normally start breeding at the age of 5 to 6 months though this is not the case with the male rabbits as they start breeding at one year. The gestation period of the rabbits takes 28 to 31 days and they can give birth to two or eight kids per period. When you start breeding, make sure you do not use the does that are sick because you will not get what you actually expect but you can get the healthy does that have the right weight for breeding to get better kids. Before you start rearing, you need to search for the market. You need to look at the local market and find out where rabbit meat can be sold and how much you can get from the rabbit business. This affects the nose and the eyes and it can be got if an infected rabbit gets close to others. There is squinting, reddening and discharge from the eyes, discharge and sneezing from the nose although it can affect the ears too. It can be prevented by isolating the sick rabbits from the normal ones and you should also make sure that the infected rabbits are not under stress. In case an abscess occurs, surgery is needed and if the snuffles increase a line of antibiotics can be administered to the rabbit as treatment. The signs of this cancer are aggressive behavior, blood stained vaginal discharge and mammary gland cysts. It is normally experienced in un-desexed female rabbits. It can be prevented by desexing the rabbits at 4 or 6 months of age and it should be done before the cancer spreads. Desexing means an operation to sterilize both the female and male rabbits. This is spread through flies, direct contact with an infected rabbit and mosquitos. This disease spreads fast and can cause death within a short time of 48 to 72 hours. You can prevent it by vaccinating the rabbit and they should be administered after six months. The young rabbits should be vaccinated from 4 weeks to 12 weeks of age monthly and after six weeks they should be vaccinated every six months. When the teeth start forming sharp spikes, it hurts the tongue and cheeks of the rabbit. Although the teeth keep on growing throughout the lifespan of the rabbit, if the front teeth overgrow and curl it prevents the rabbit from eating since the mouth does not close and if a rabbit stops eating, the gut stops working and this causes death. This can be prevented by providing the rabbits with fiber filled food from grass and other greens. It can be treated by burning the teeth and providing anesthetic. 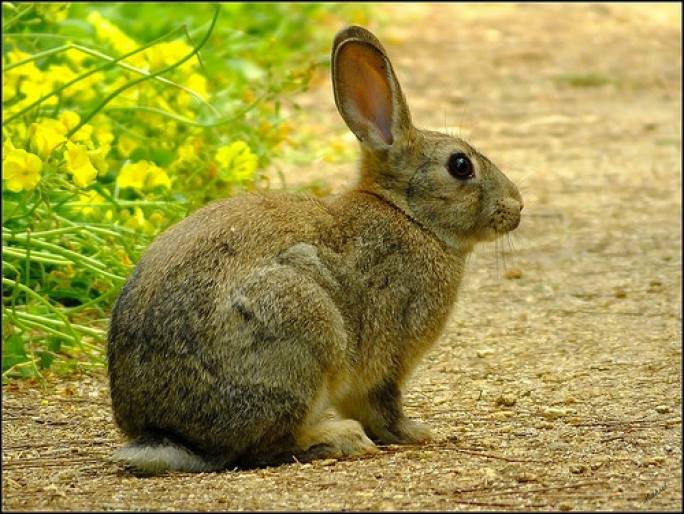 The virus is transmitted through the fleas, contact with an infected rabbit and mosquitoes. The signs of this are discharge from the nose, anogenital and the eyes. With this disease, there is no prevention and definitely no cure at the moment. So if your rabbits get it they end up dead although if you suspect a rabbit, its better if you separate the infected from the healthy ones. A rabbit’s hair is supposed to be able to pass through the gut but if they cannot, then this causes complications to the rabbit. The hairballs are normally found on the rabbit’s stomach and they become a real problem if the rabbit stops eating. This can be prevented by giving the rabbit a good diet filled with a high fiber and the only treatment is through surgery. There are many ways you can tell if the rabbits are sick and one of them is to check on them regularly and see if there are changes in their behaviors. The rabbit mesh used in the construction of the house is rare in Uganda and this leads to incurring more costs to get it. The rabbit feeds are quite expensive especially wheat bran which helps rabbits to add more fiber. Although you can get grass for the rabbits to feed, they also need other feeds but the feeds on the local market are of poor quality which makes good feeding for the rabbits a challenge. Rabbits multiply at a faster rate when it comes to producing which increases the size of the farm and brings in more income after sale. There is a growing demand for rabbit meat on the market, so if you are planning on earning extra income rabbit farming is the way to go. It is easy to start up a rabbit farm that is it does not require a lot of startup capital. Rabbits provide manure for farms especially vegetable farms in form of their urine and poop. The rabbit droppings once dried can also act as food for fish mostly for those who do fish farming. In conclusion, this is a very lucrative business and easy to start. You can either rear them for meat production or keep them as pets at home.